My new brewing setup. 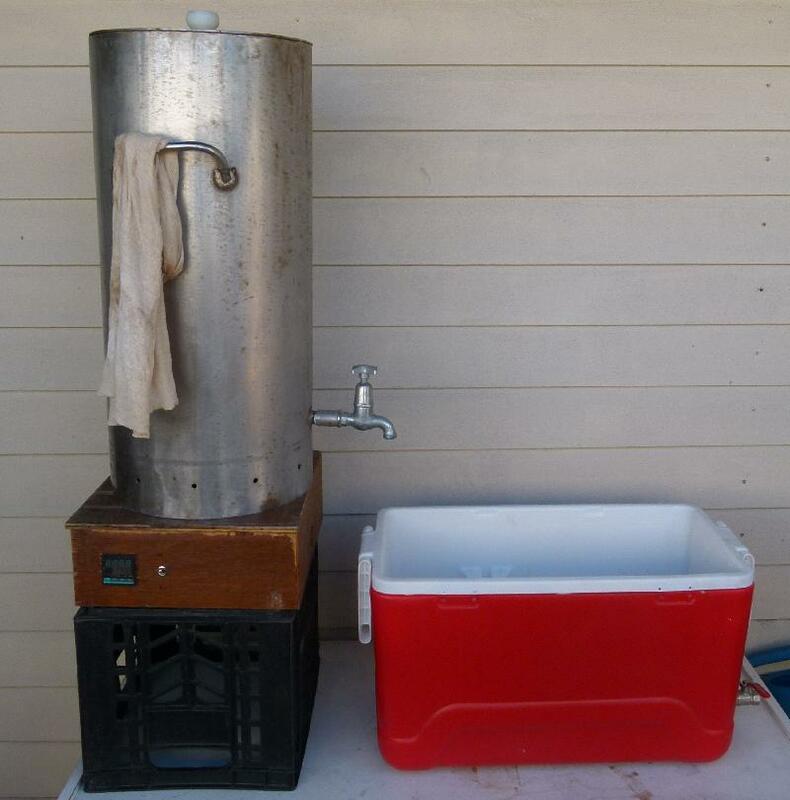 A nice large stainless steel urn with a dual element, and a cooler box with a filter that used to be a braided hose and a tap. 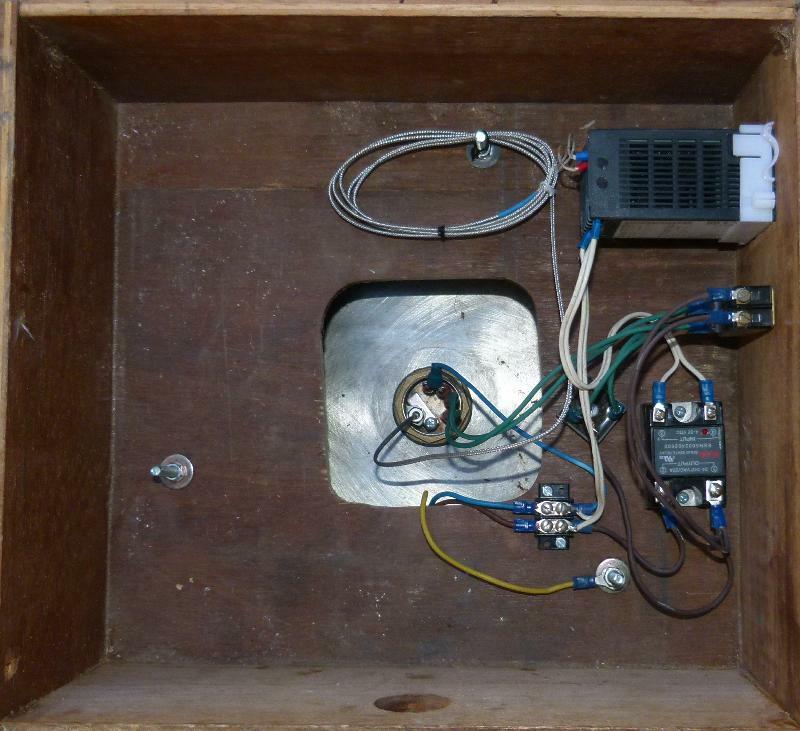 The box under the urn is a PID controller so that I can (in theory*) dial the temperature, have a homebrew, and have water at the right temperature on tap. It’s not going to win a panel wiring contest, but it works. The PID doesn’t have the switching capacity, so there’s a solid state relay. I also wired diodes to send the positive part of the AC to the one element and the negative part of the AC to the other element to spread the heat. 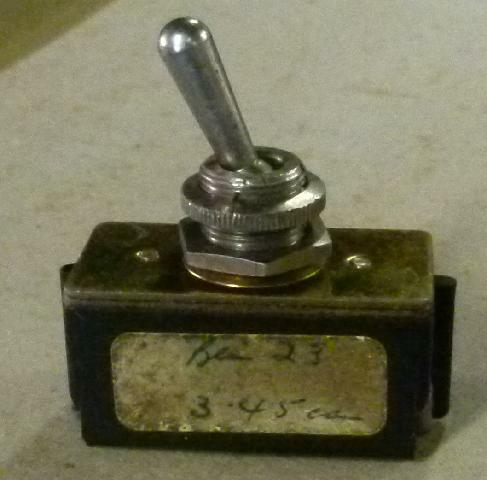 The switch controlling whether the diodes are in-circuit or not comes from the junkbox. Been a while since one could buy something useful for R3.45. 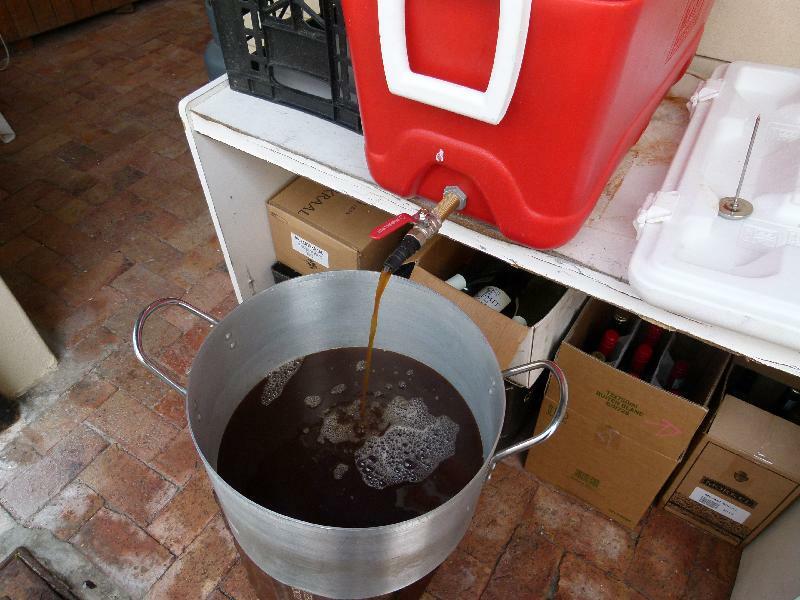 ..and drain the good stuff (this is Sunday’s brew, an IPA). 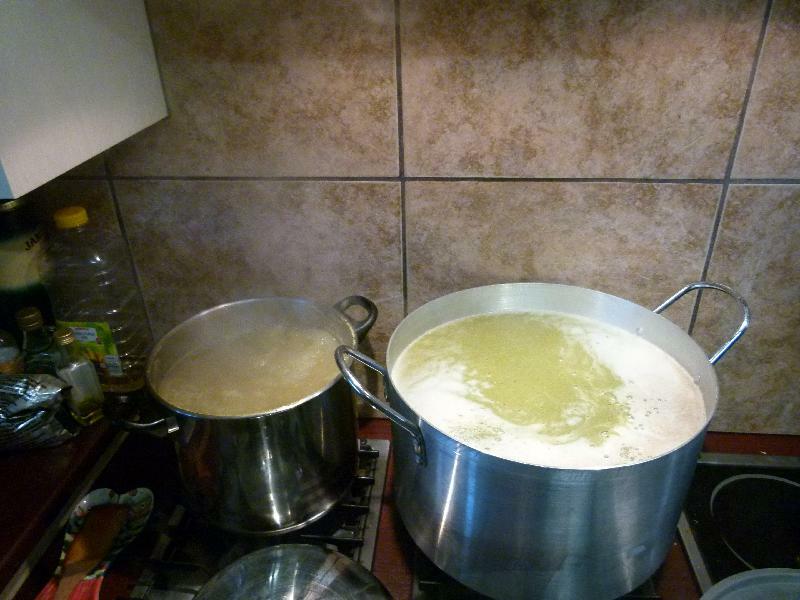 The pilsner is all-grain, which means that you end up with quite a lot of liquid to boil. That’s the next step. The urn, on low, should be able to boil the wort as well. If not, I need to get a 30 liter+ pot, I have quite a few gas burners. Good news is that both brews started bubbling easily (I added Servomyces to both and DAP to the IPA). 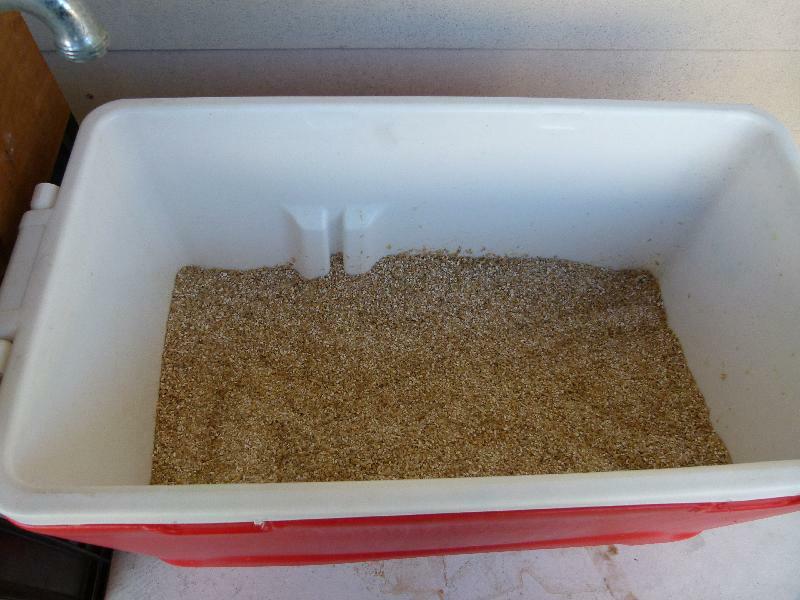 The pilsner is my first all-grain and my first lager — I’m using ice to keep it cool. * The water coming out the tap seems about 5C too cold. Some calibration required, looks like.